FOOTBALL sunk to its lowest point in the 1980s. The Bradford fire, the Heysel Stadium disaster and Hillsborough. In a five-year period, death and destruction rained down on the game, while attendances slumped to their lowest point since before World War One. In 1986, the average first division attendance was below 20,000. Hooliganism was rife and getting worse. The game in England was a mess and, it seemed, hell bent on killing itself. And then. Hillsborough. No longer just the home of Sheffield Wednesday Football Club. That the worst football disaster should be inflicted upon Liverpool fans seemed to be somehow symbolic. The city, in the 1980s, was a byword for urban decay, hamstrung by politics, rising social disorder and most significantly, a thorn in the side of the Thatcher government. There was talk – behind closed doors, of course – of evacuating Liverpool after the 1981 riots that took place across the city – “a managed decline”. And with the country’s most popular sport in crisis, the events of the period almost felt as though Liverpool was carrying the sins of the [football] world. Yet Liverpool had contributed so much to modern British popular culture. Any city that gave birth to the Beatles deserved the benefit of the doubt, but despite handing us John, Paul, George and Ringo, along with countless other brilliant bands and artists, Liverpool was always eyed with caution. At the same time, Liverpool and Everton carried the city’s sporting torch across Britain and into Europe. Liverpool were the first English side to become truly “European”, winning the European Cup four times between 1977 and 1984. The fans brought back many souvenirs of their trips across the Channel. Liverpool fans, by definition, were canny operators, and not always appreciated by the authorities. As was the case with many away grounds during the 1970s and 1980s, visiting supporters to a place like Anfield had to be wary, but the club didn’t have the sort of public reputation “earned” by Manchester United or Chelsea. Generally, commentators and reporters would refer to the “indomitable wit of the Kop” and of course, iconic figures like Bill Shankly, Kevin Keegan and Kenny Dalglish, not to mention 60s heroes like Ian St. John, Roger Hunt and Ron Yeats, made Liverpool a popular club. Success has many fathers, as they say. But human nature also decrees that, inevitably, Liverpool became so successful that some people resented them in much the same way as Don Revie’s Leeds United in the early 1970s. A culture of envy invariably comes to the fore in football and people grew tired of red shirts lifting trophy-after-trophy, year-after-year. Furthermore, TV comedies and dramas painted a none-too-flattering picture of the “scouser”, a crafty, street-wise operator – the sort of caricature that would not be tolerated today. Football fans from opposing clubs, frustrated by their own clubs’ inability to compete on the field with Liverpool, would taunt their fans with songs that emphasised the relative wealth of their own towns – the north-south divide and all that. As many people have written, Hillsborough was, undoubtedly, a “human tragedy” and one that effectively triggered the fall of the house of Shankly. While the families and friends of those that died in Sheffield have never recovered, it is arguable that the club’s diluted powers can be traced back to the events of April 1989. That “unlawful killing” has now emerged as a conclusion to 27 years or agitation, protests and campaigning will come as a relief for some, but why and how this all happened is nothing short of scandalous. 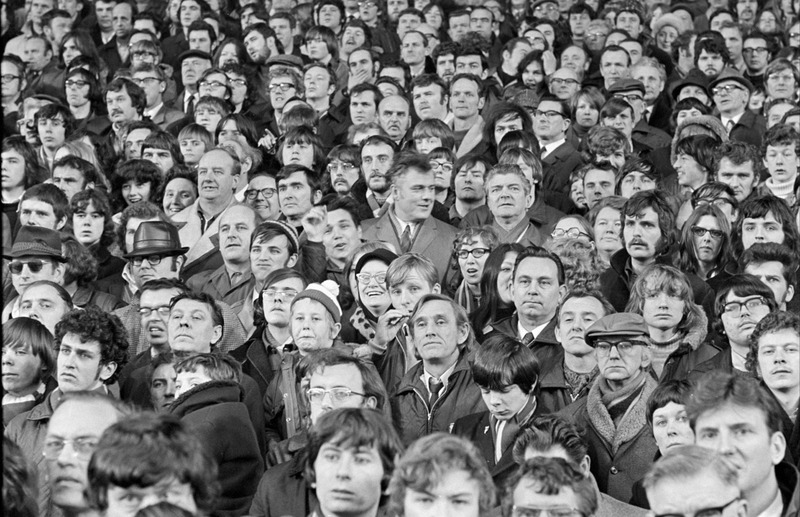 It has been too easy for some to blame Liverpool fans for their part in the tragedy, but in the 1960s, 1970s and 1980s, standing on a terrace, almost anywhere, could be hazardous. Packed concrete steps, a lack of crowd control and constantly-moving waves of fans were commonplace. The motion of the mass could transport you 30 feet during the course of a game. Look at old footage of crowds behind a goal and the surge that took place behind a goal when a team was attacking. Nobody seemed to mind and it was an accepted part of standing on the terrace. Bill Shankly once walked into the dressing room at Anfield bedraggled, shirt torn and tie askew. When asked where he had been, he responded that he’d been on the Kop with the boys! There was very little to prevent a disaster, aside from the crush barriers interdispersed on the often crumbling steps. Before the mid-1980s, there were few, if any, fences to hem the fans in. In other words, unless a wall gave way, accidents were rare and at worst, you could spill over onto the pitch. By 1985, crowds were going so low that overcrowded terracing was not too much of a problem. Nevertheless, it is surprising that Hillsborough-type tragedies did not happen more frequently. There’s also a deep political angle to this sad tale. At the time of Hillsborough, the UK government had virtually declared war on football and its fans. Millwall and Chelsea were both involved in major incidents in 1985 and then later that year, the Heysel Stadium disaster resulted in the death of 39 Juventus fans. How much was the reaction to Liverpool fans in Sheffield down to that particular incident? As one Koppite commented in the confusion of Hillsborough, “they think we are animals”. Generally, police attitudes to football fans in those years were a mix of intolerance and disdain – I recall queuing for underground trains and being herded like an animal, listening to the sarcasm of police officers on those dangerous-to-be-near horses. It appeared that whoever you were, if you were a football fan, you were seen as “the enemy”. The police, ambulance services and certain segments of the media have to hang their heads in shame right now over the events of April 15 and its immediate aftermath. There was gross negligence, yes, but even worse, there have been lies and blatant cover-ups and an attempt to hang the blame on the very group of people that suffered the most. The horror of Hillsborough, and the accompanying conspiracy, could have happened to any group of supporters. “could have happened to any group of supporters….” But it happened in Liverpool matches twice. Most other clubs zero times.